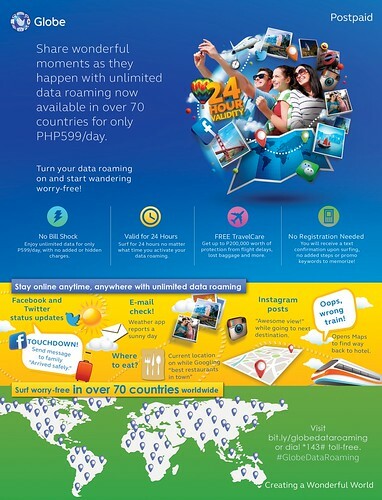 Globe Data Roaming: Unlimited for a Flat Rate of P599/day! Earlier this month, CNN reported that Ninoy Aquino was no longer classed as the worst airport in the world. Thankfully, its services are steadily improving after a recent renovation of its Terminal 3. After three years of being crowned the world’s worst airport, Pakistan’s Islamabad Benazir Bhutto International Airport has taken over the mantel as the most undesirable airport destination. Now Ninoy is ranked as the fourth worst leaving in its wake the like of Saudi Arabia’s Jeddah’s King Abdulaziz international Aiport and Nepal’s Kathmandu Tribhuvan Airport. 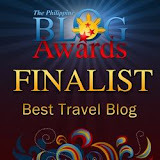 It’s a welcome rest bite for the Philippines’ flagship airport after years of bad publicity most notably due to the aforementioned renovations of its Terminal 3. And although it’s a far cry from making the top 100 best airports in the world, Ninoy should be proud of it’s recent improvements and strive to continue to improve. Some of the most underwhelming issues with Ninoy apart from its drab interior is the fact that it’s extremely difficult navigating its departure and arrivals parking services and the transportation roads it’s accessed by. This is something that needs to be drastically improved if it’s to rank higher up the league table. Other airports around the world such as London’s Gatwick airport are accessed via multiple roads as well as via train and shuttle buses, as per UK-based website Parking4Less. Features like this are lacking from Ninoy’s design and therefore congestion has been detrimental to its rankings over the years. Ultimately, it’s variables such as its bad design of the roads that surround the airport, which is causing the airport to come under fire by the media and visitors to the airport. However, with the tourist industry booming in the Philippines and Ninoy being the gateway to so many of our wonderful islands, let’s hope that the recent renovation is the first of many to come and Ninoy continues to go from strength-to-strength.